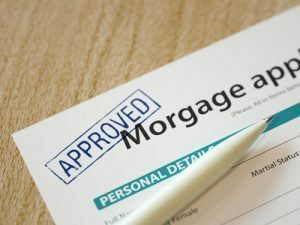 Mortgage credit availability increased by a little over 1 percent in November, according to the latest Mortgage Credit Availability Index released Thursday by the Mortgage Bankers Association . The index is based on data from Ellie Mae . The 1.1 percent uptick brought the overall index to 188.8 in November and is, according to MBA, a sign of loosening credit. The overall index is the result of ups and downs in sub-indexes. According to MBA, the index measuring conventional mortgages increased 2.4 percent last month. That coincides with increases of 1.1 percent in the jumbo sector and 4 percent in the conforming sector. Those gains, however, were offset by a 0.1 percent dip in government mortgage availability. Charts following the various credit availability sectors show all but the government sector on an essentially upward trajectory for the past four years. The government sector, though, has been on a steadily downward slope since the spring of 2017. The index was benchmarked to 100 in 2012. Prior to that, it had been at 900. That number took a steep dive to 100 in the second half of 2008, according to MBA.